I was always curious about these empty folders “AUDIO_TS” on DVDs (Digital Versatile Discs) as I had worked a lot in the past with DVD videos, copying and ripping. 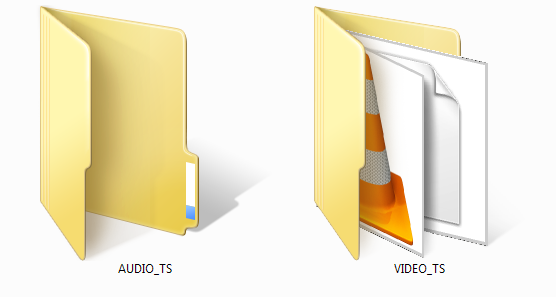 What surprised me the most was that even the audio files/tracks for the video were not stored in the AUDIO_TS folder. Huh? Well, yes. All video and audio tracks for a DVD were always designed from day one to belong in the VIDEO_TS folder. The reason why the AUDIO_TS folder is even there is because the industry at one time predicted that DVDs would eventually replace CDs as audio media… and then AUDIO_TS would then be filled with audio tracks and perhaps the VIDEO_TS folder would be empty. Due to this prediction, early DVD players actually required the AUDIO_TS folder on the DVD or it wouldn’t play. DVD players haven’t required the AUDIO_TS folder on the DVD for years, though in order to play DVDs on ancient players you’ll always find the AUDIO_TS on the DVD… empty. Side note: Two reasons that DVD audio never really took off (there are some discs out there) was most users where happy with the quality of your ordinary audio CD, and that the music industry was not happy to release super hi-quality versions of their music on a media form that had all ready had the encryption scheme (CSS) cracked.